It's no secret that we are huge fans of Learning Resources, they are firm favourites of ours. They are a company that we've followed for years and have worked with from time to time. They continue to push boundaries when it comes to educational toys and we are always excited to see what they'll release next. Beaker Creatures are one of their newest ranges and something that I thought would really interest Noah! Was I right? We received three products for the purpose of this review; the Beaker Creatures 2-Pack with Bio Home, Beaker Creatures Magnification Chamber, and the Beaker Creatures Liquid Reactor Super Lab. 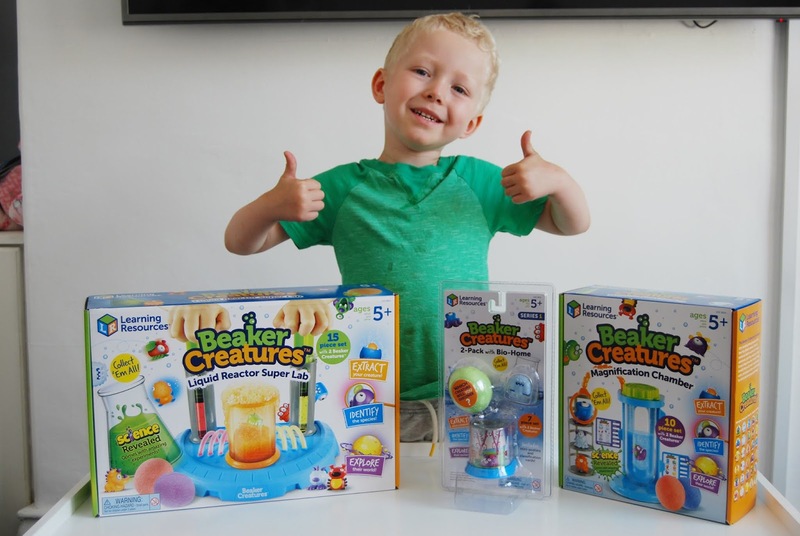 Noah was delighted with this haul, as he knew it'd give him a great head start when it came to starting his Beaker Creatures collection! 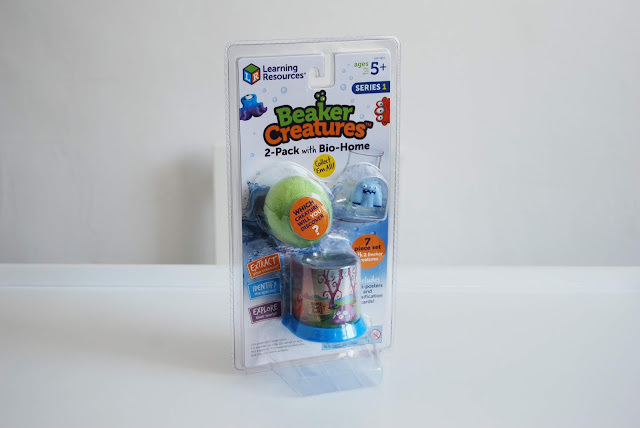 I let Noah choose which to open first and he decided to go for the Beaker Creatures 2-Pack with Bio Home, which I thought was a good choice because it looked quite straightforward to do. The Bio-Home is a great little starter pack which retails at just £10.00. It includes 7 pieces; a Beaker Creature Reactor Pod, Plastic Bio-Home, Two Classification Cards, Two mini posters, and a bonus Beaker Creature. I had a bowl of water ready for Noah to start his experiment, in which he placed the Reactor Pod and watched it fizz away! The water turned bright green and left behind was a Beaker Creature, encased in a plastic pod, ready to be identified. You can do this either in or out of the Bio-Home but it features a built-in magnifier in the top for close-up viewing. It's also a great way to display a Beaker Creatures collection as they can be stacked on top of one another to save on space. 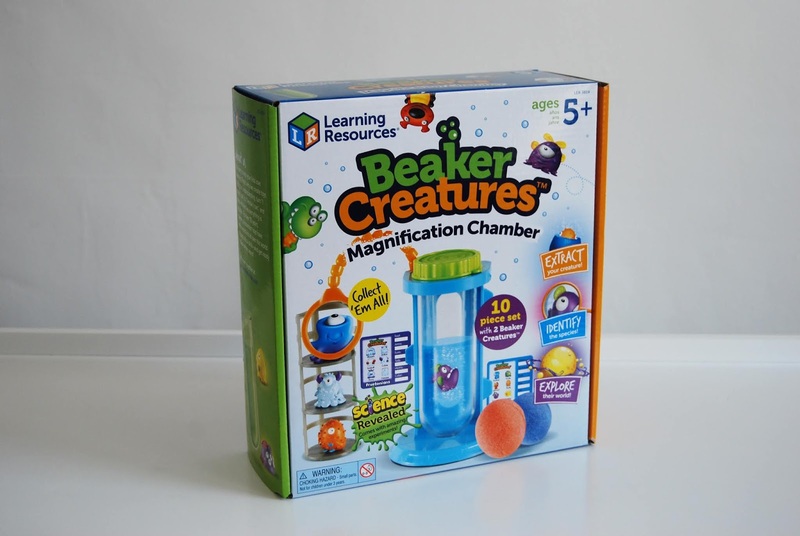 Next, we have the Beaker Creatures Magnification Chamber which retails at £15.00. Included in the set is a three piece Magnification Chamber, two Beaker Creature Reactor Pods, two Classification Cards, two double sided mini posters and an experiment guide. Noah filled the chamber with water and poured onto the Reactor Pods. He did this in the same water, so the colours mixed and changed to a murky brown colour, which he loved! Yuck! 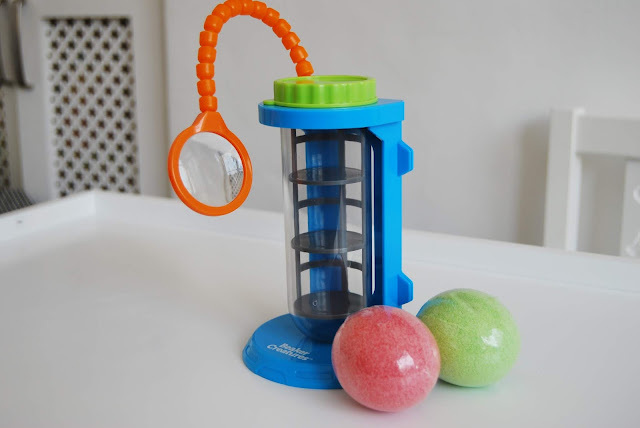 The magnifying glass is a great addition, perfect for getting up close to those little Beaker Creatures. 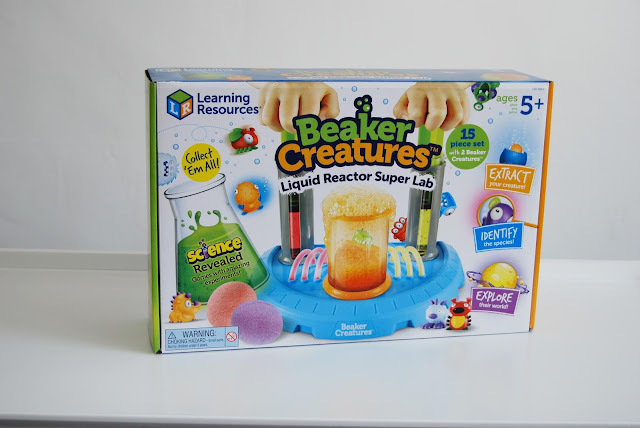 Last, but not least is the Beaker Creatures Liquid Reactor Super Lab which retails at £25.00. 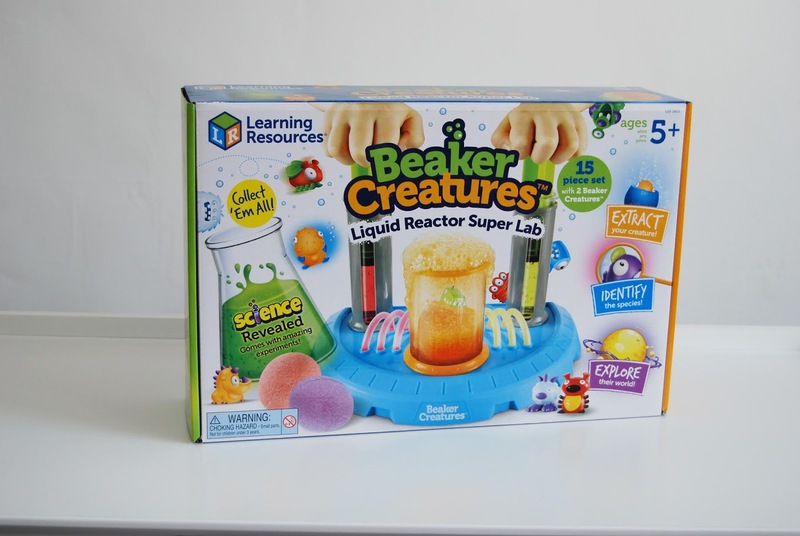 This set certainly has the wow factor and includes so many items and accessories; the Liquid Reactor Super Lab Base, two beakers, two hydroplungers, tongs, a stirring rod, two Beaker Creature Reactor pods, two Classification Cards, two double sided mini posted, a full sized poster and an experiment guide. I assembled this quickly and filled the syringes with water, then it was ready to go! Noah carefully lowered the Reactor Pod into the champer, pushed down the syringes and watched it fizz and pour everywhere! (Make sure to have towels ready!) 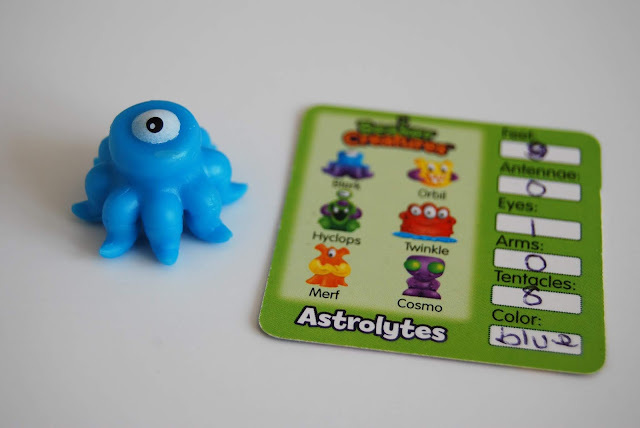 This is another exciting way to discover and identify Beaker Creatures and a must have for every collection! Well, what can I say? Learning Resources have gone and done it again! 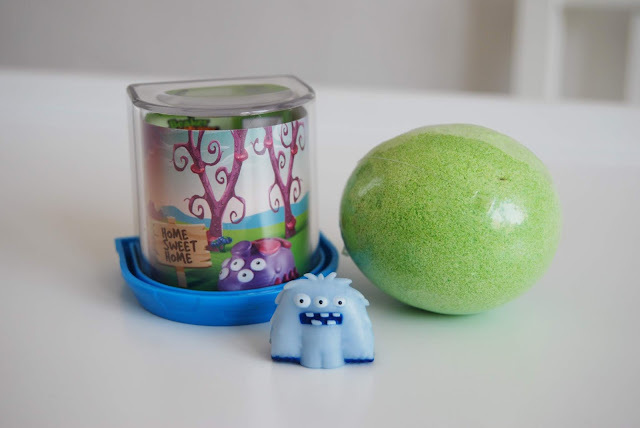 Beaker Creatures are collectibles with a difference, they are a fun way to learn through play. With over 35 different Beaker Creatures to collect I know what will be on Noah's Christmas list this year! Noah suits the green t-shirt. I was lucky enough to win this great toy, so this review has been really interesting as we are keeping it for Christmas.